At work we have these strange art works standing around. 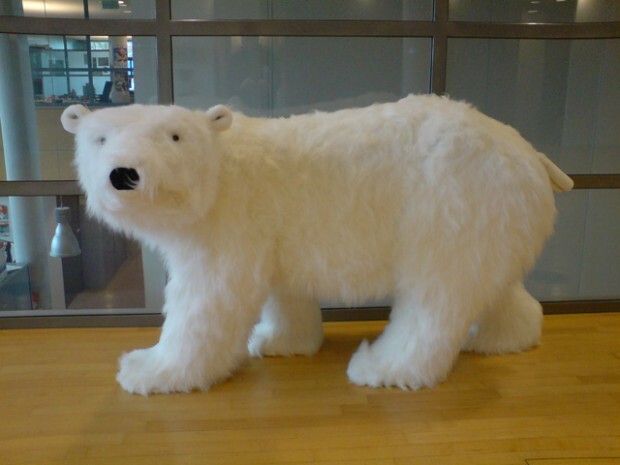 Don’t know what the VARA has in common with a polar bear or why they chose to place on in one of the main hallways. But at least it is house-trained.